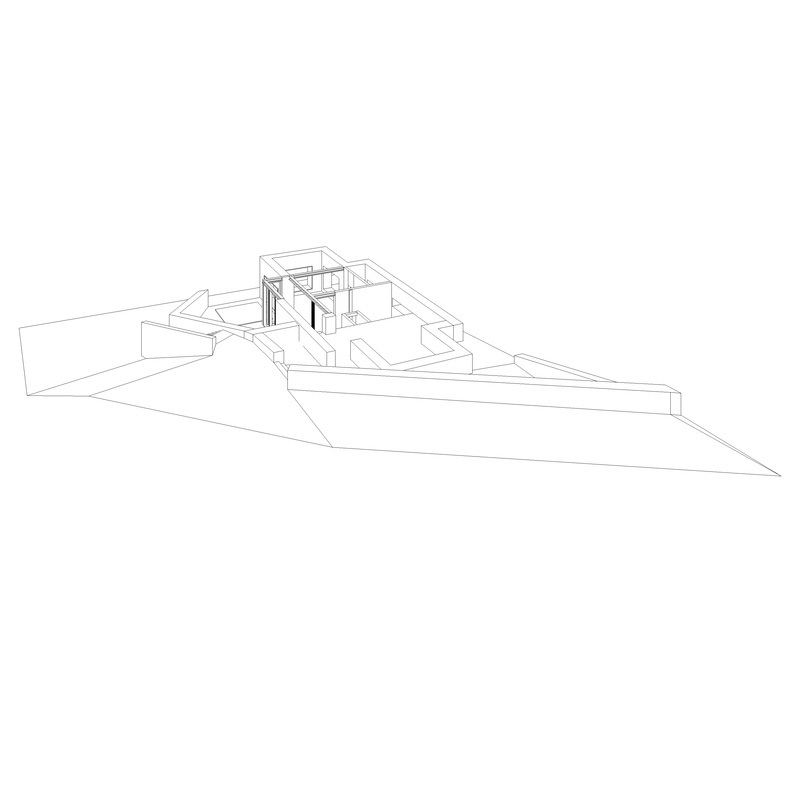 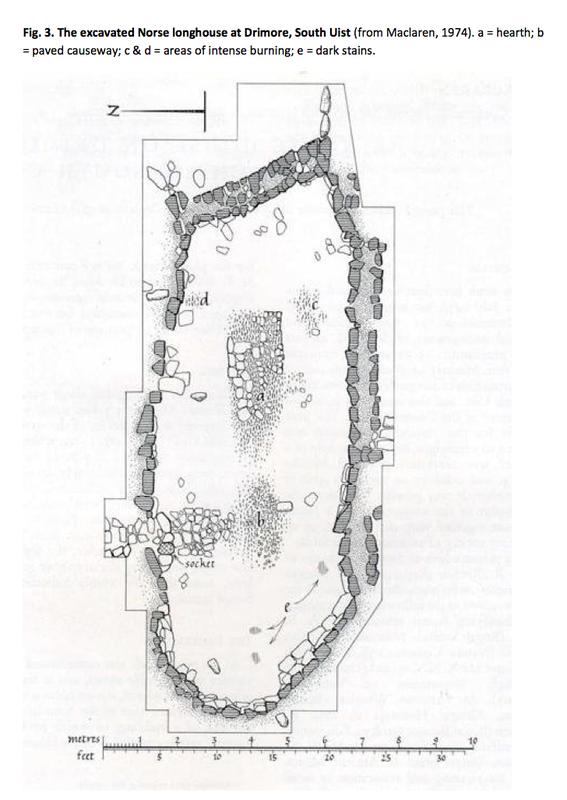 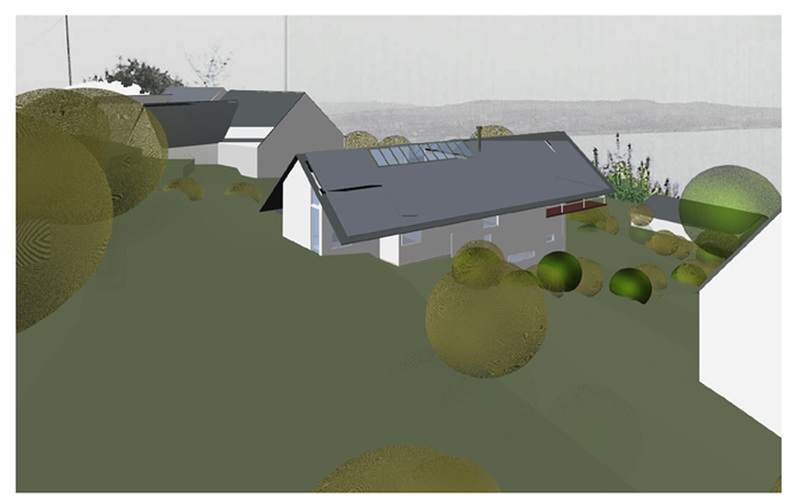 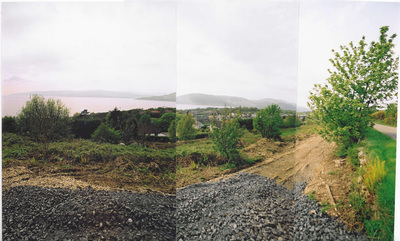 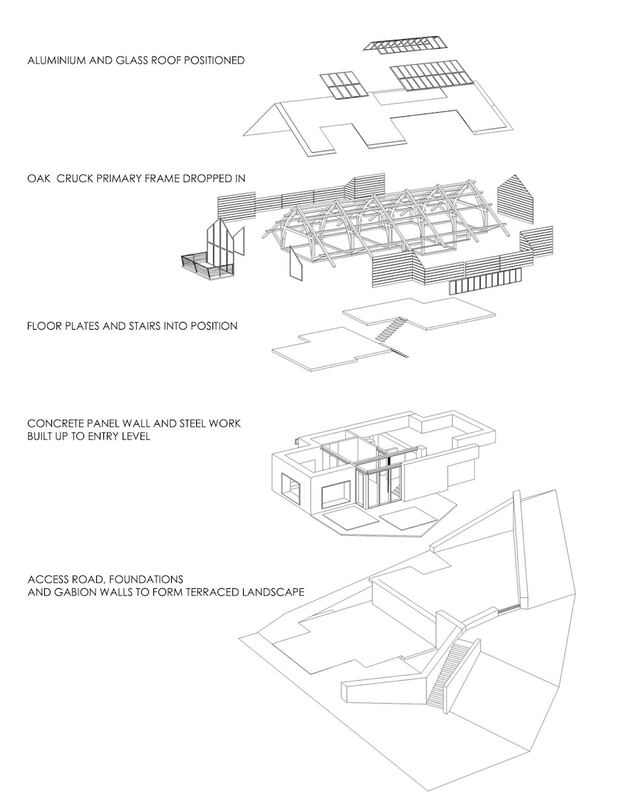 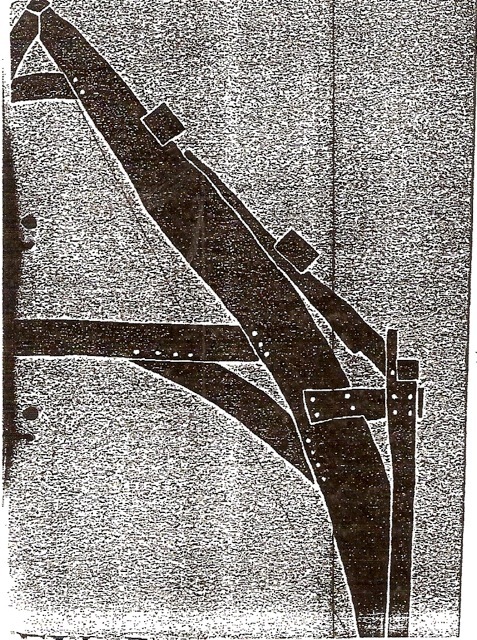 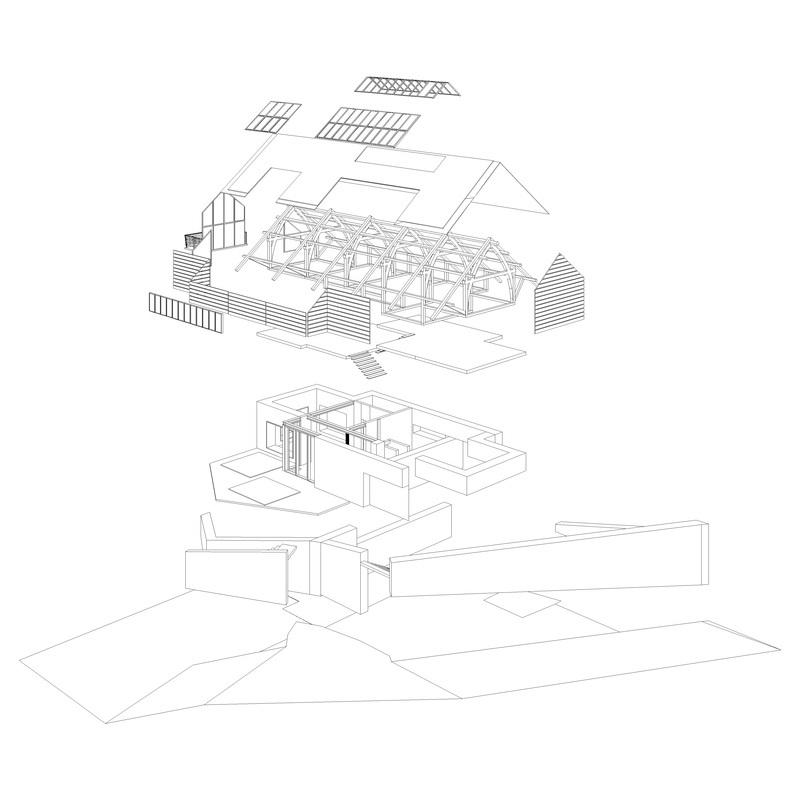 The Long House is a domestic residence extruded on a linear plan South West out over the "Clyde Sea." 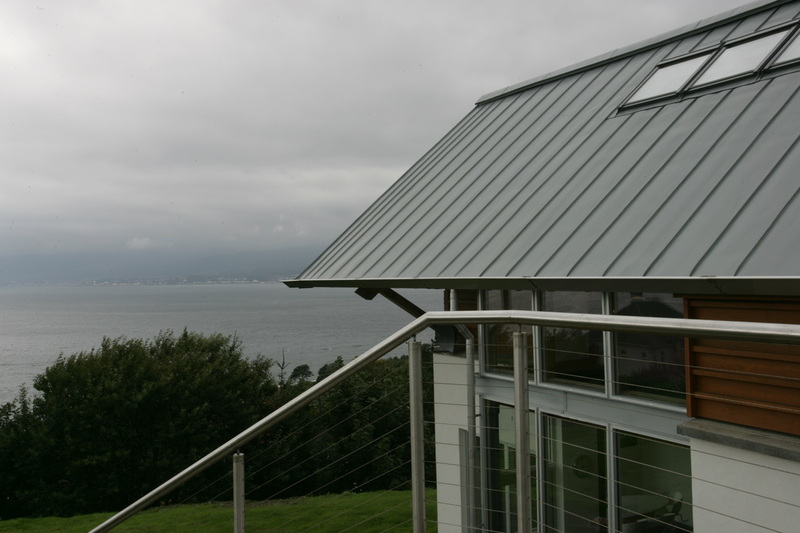 It sits gently and precariously on a steeply sloping site on the end of an exposed peninsula. 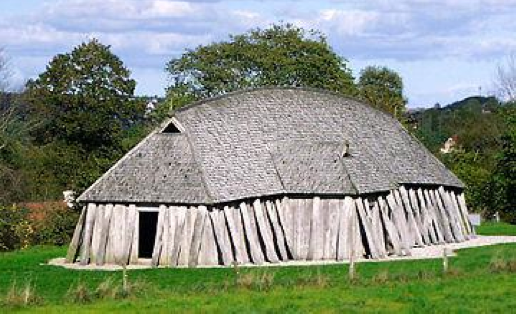 It revisited a tradition that prevailed in this area during the Viking era - the Wooden Long house. 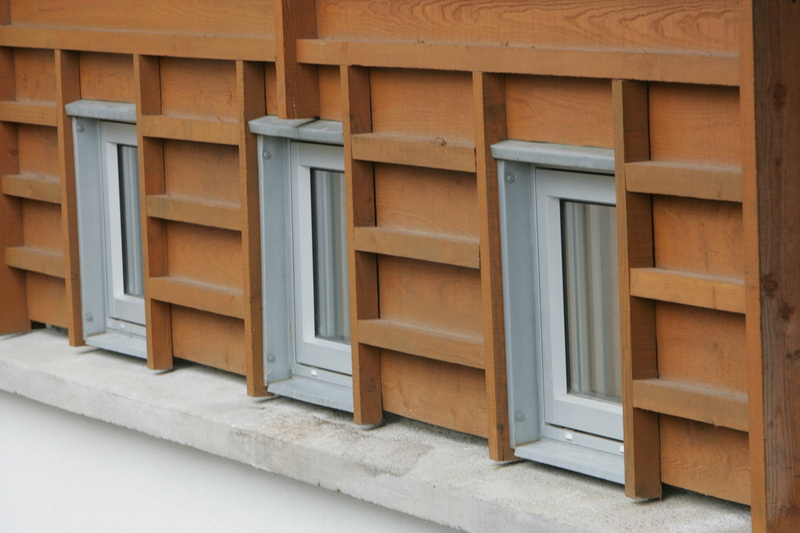 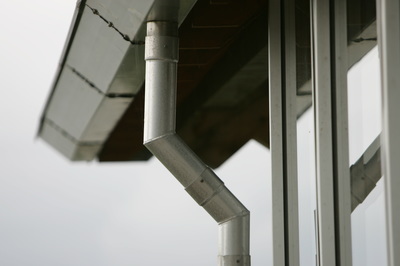 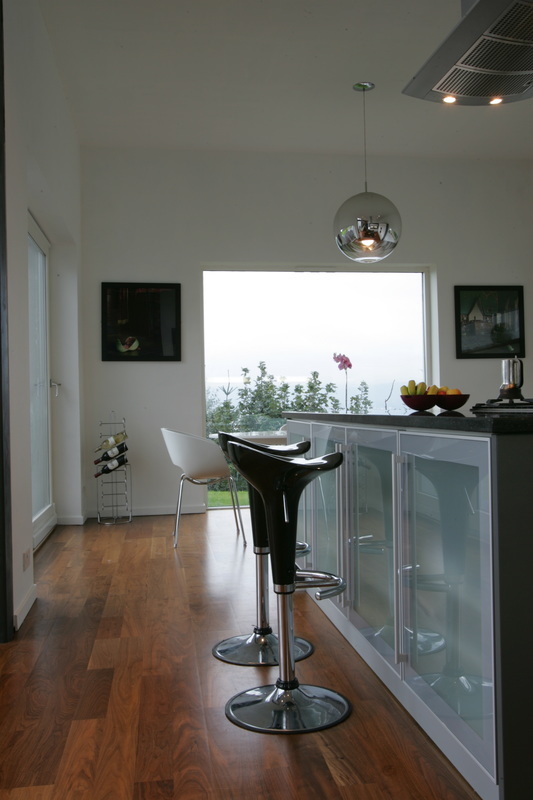 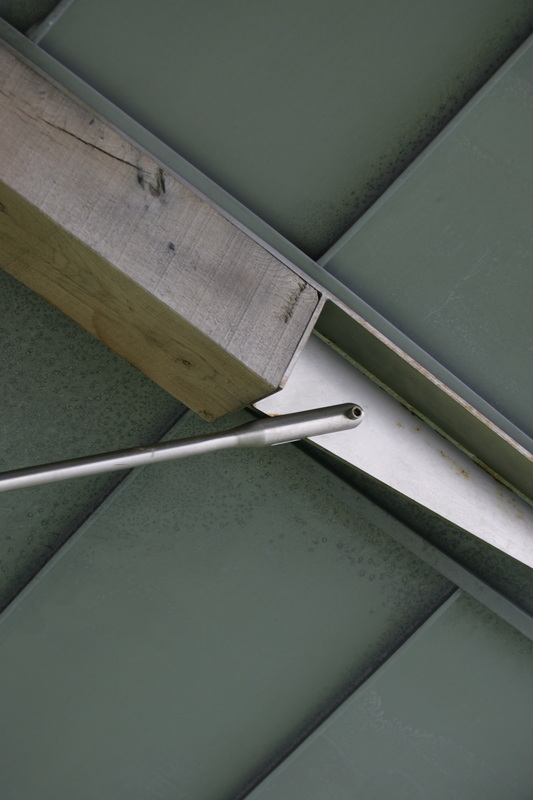 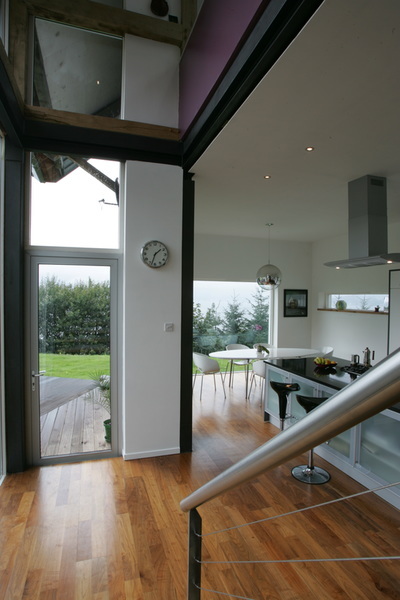 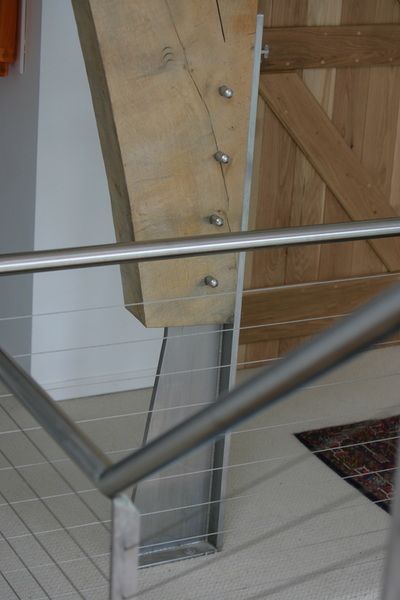 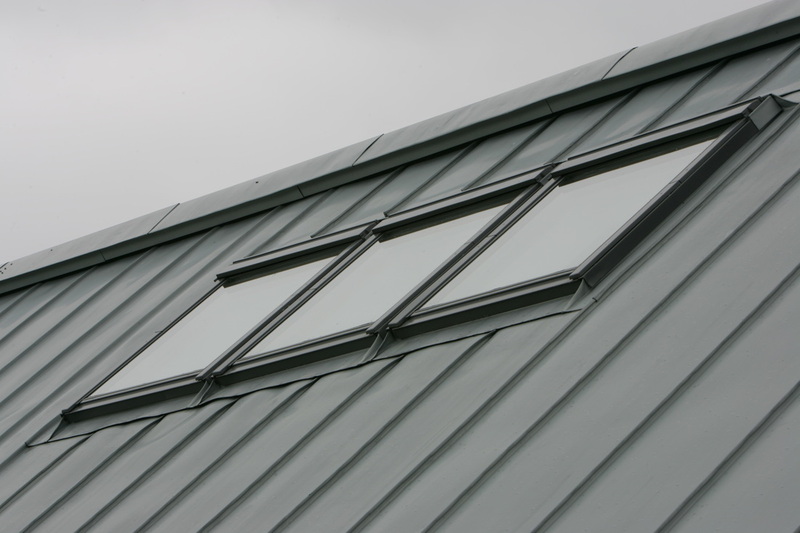 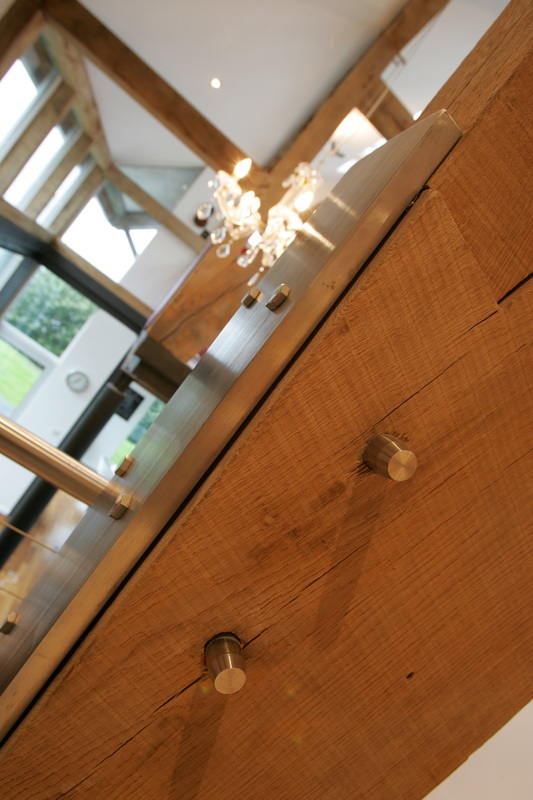 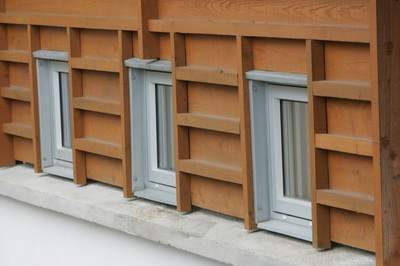 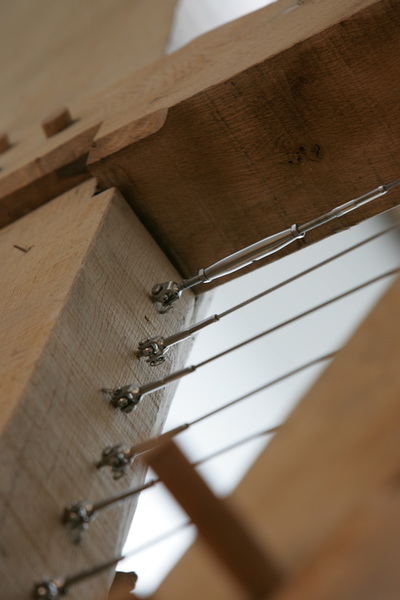 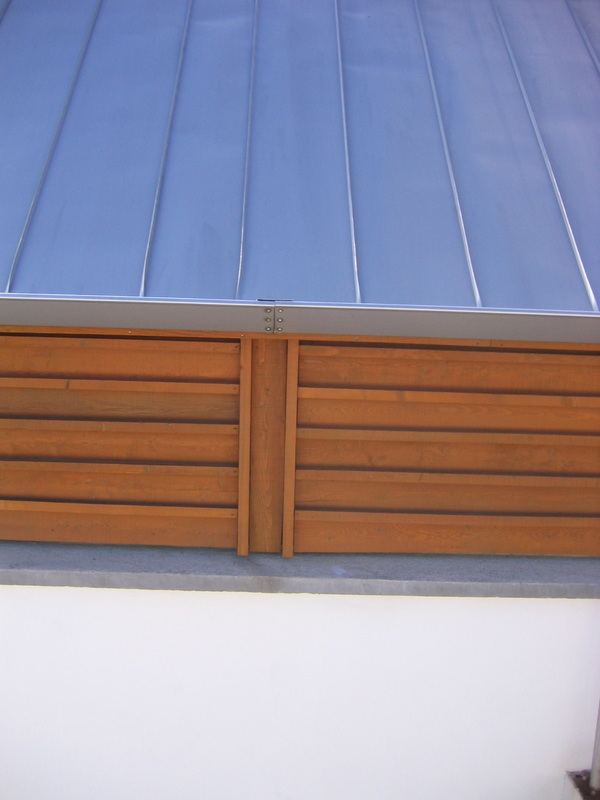 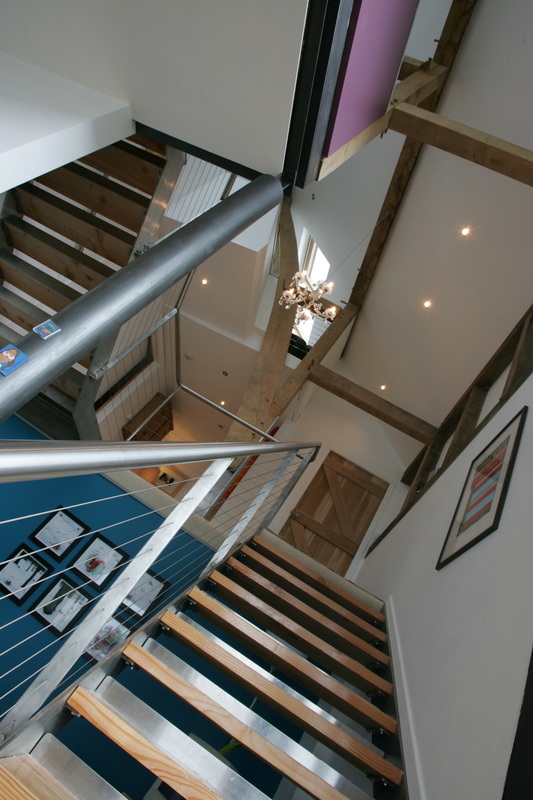 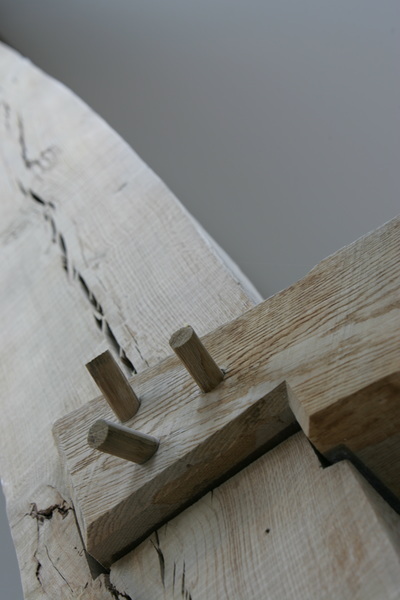 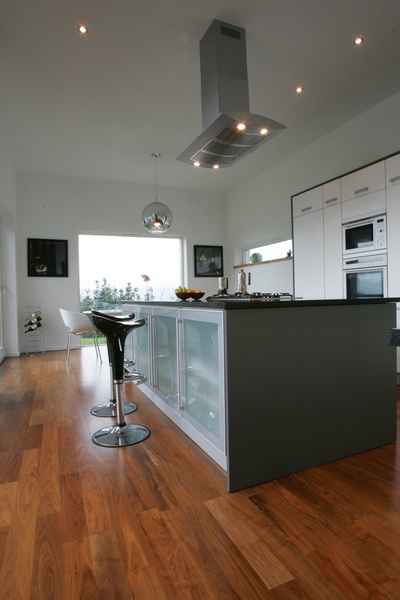 It was featured on Grand designs in 2003 and revisited in 2004. 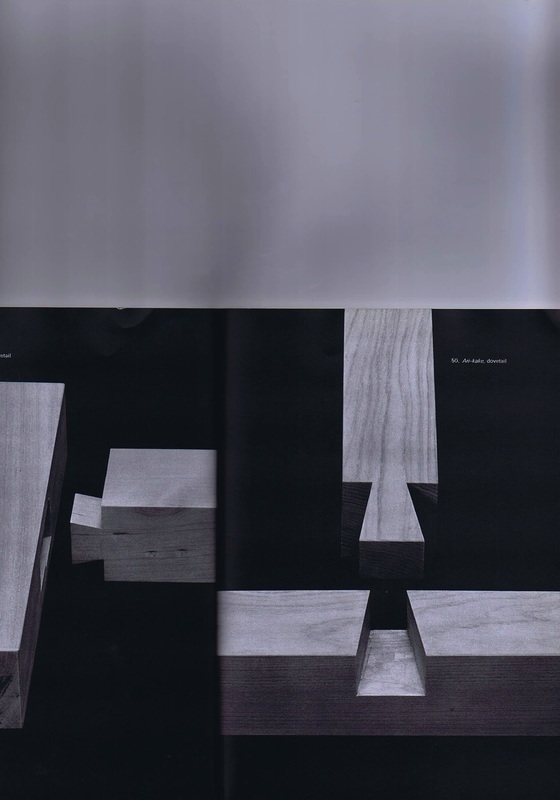 This was an exploration into new Maritime architecture that elaborated on the traditions of Wooden Long houses and local Green Oak Cruck Framing. 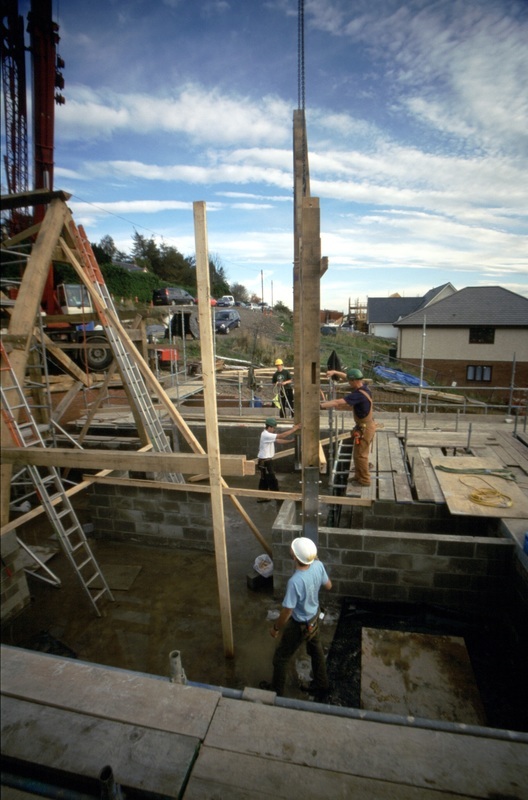 Crucks being equal halves of native trees that had curved their Trunks naturally to correct to vertical, when growing out from a steep Scottish Hillside. 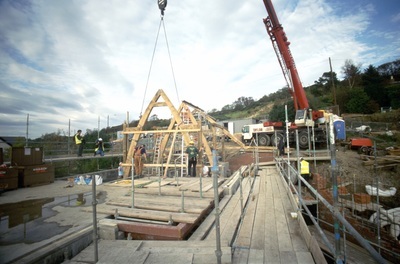 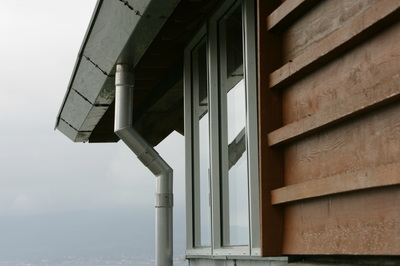 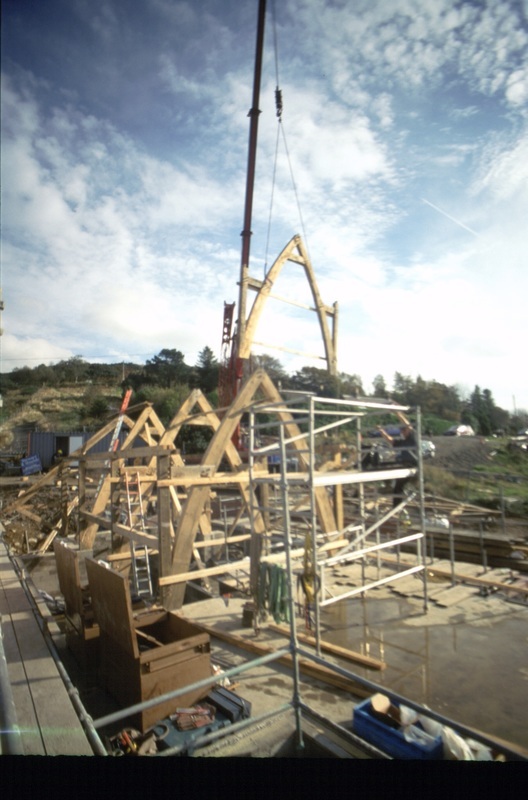 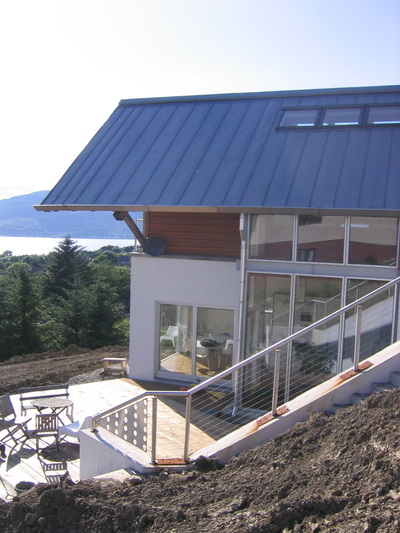 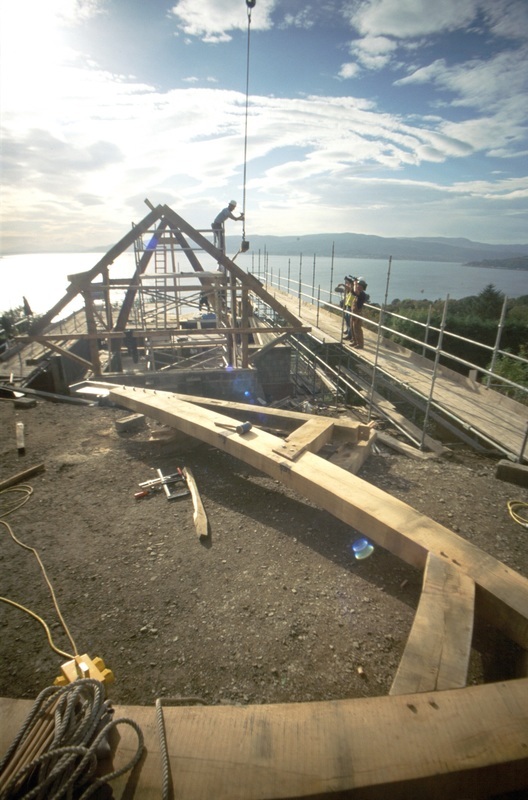 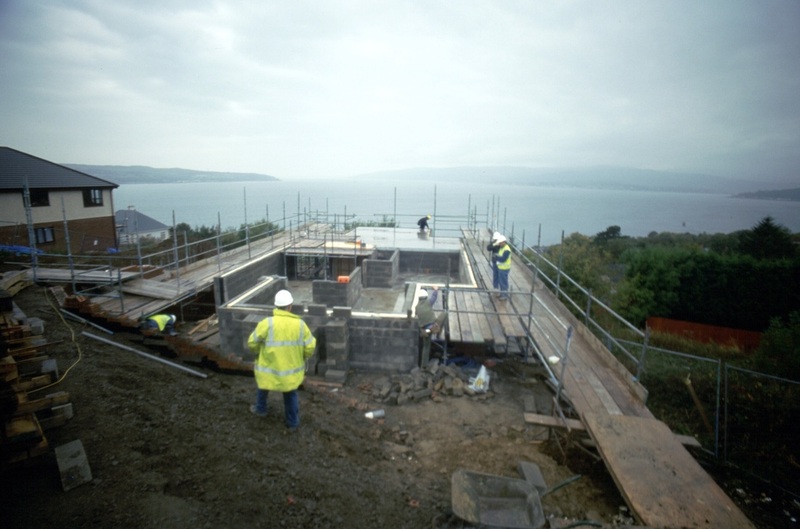 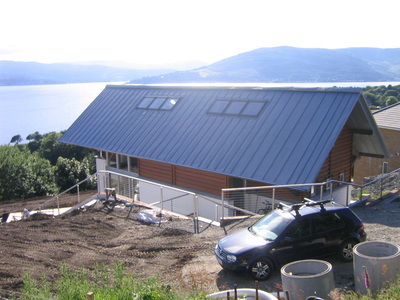 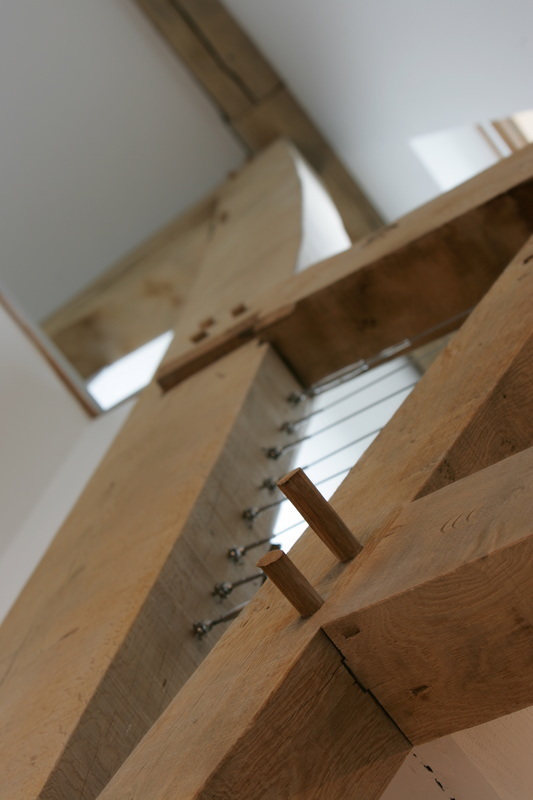 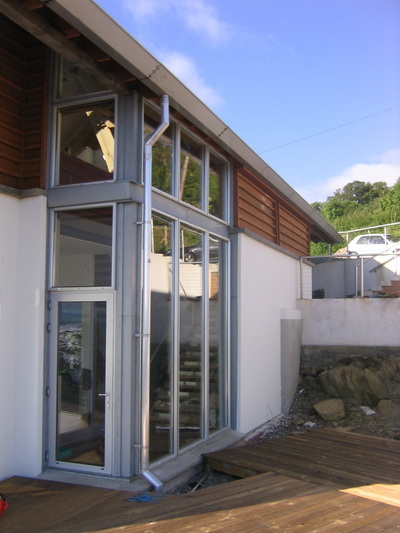 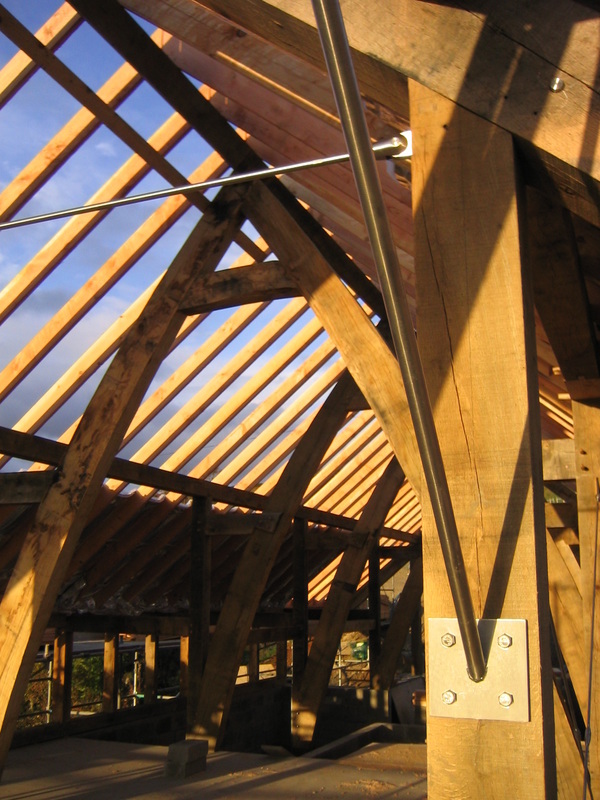 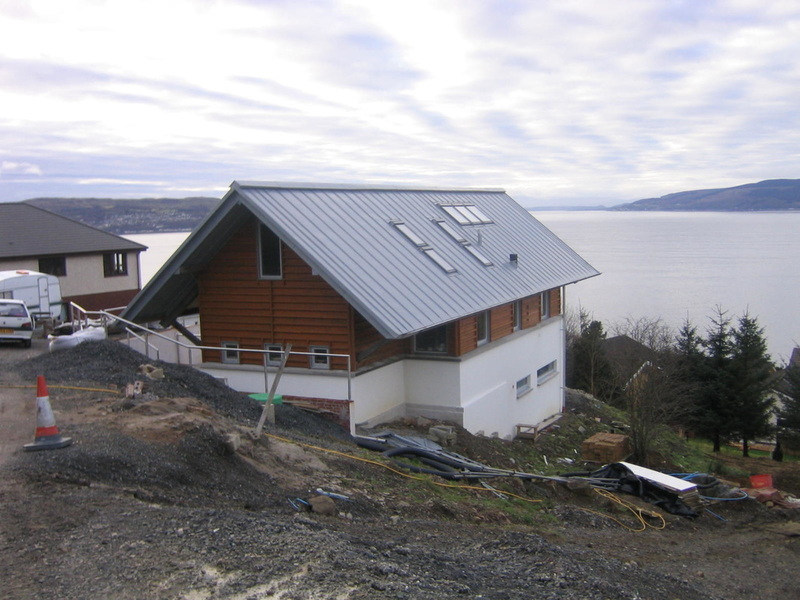 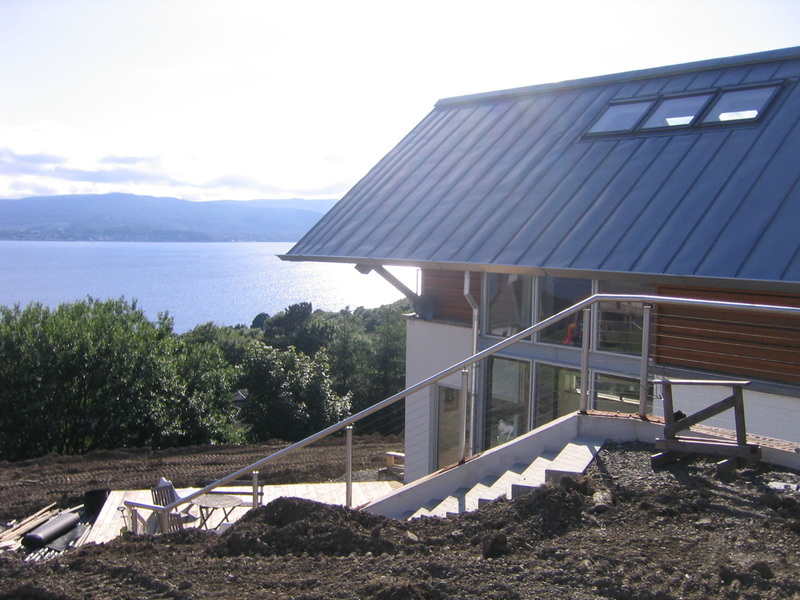 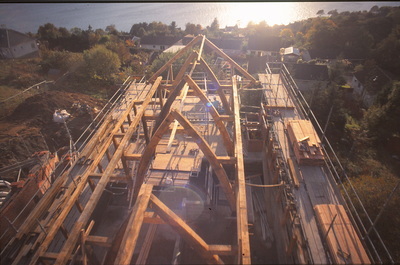 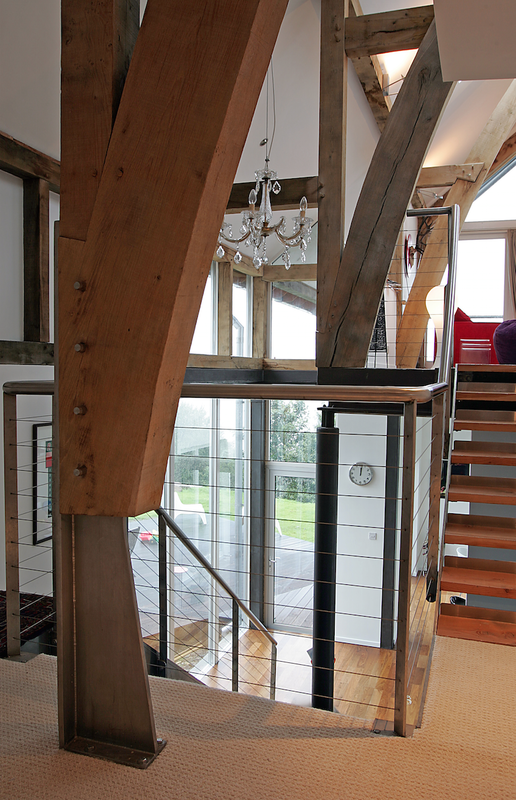 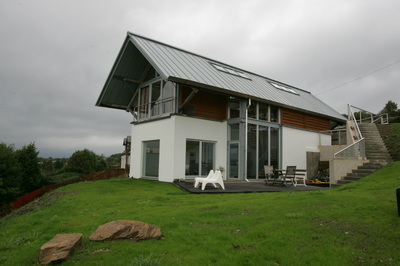 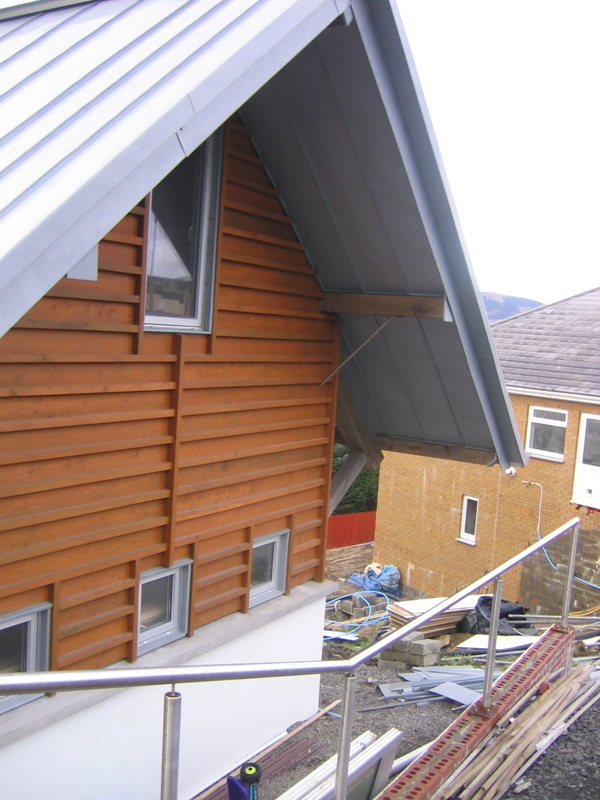 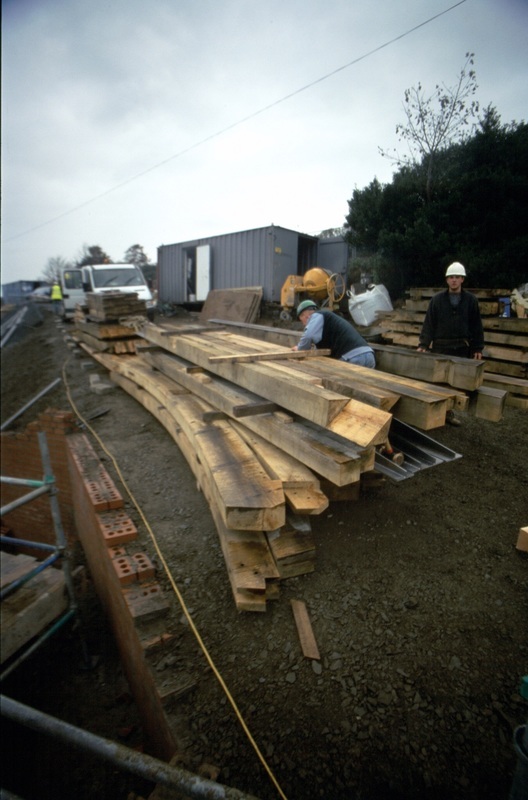 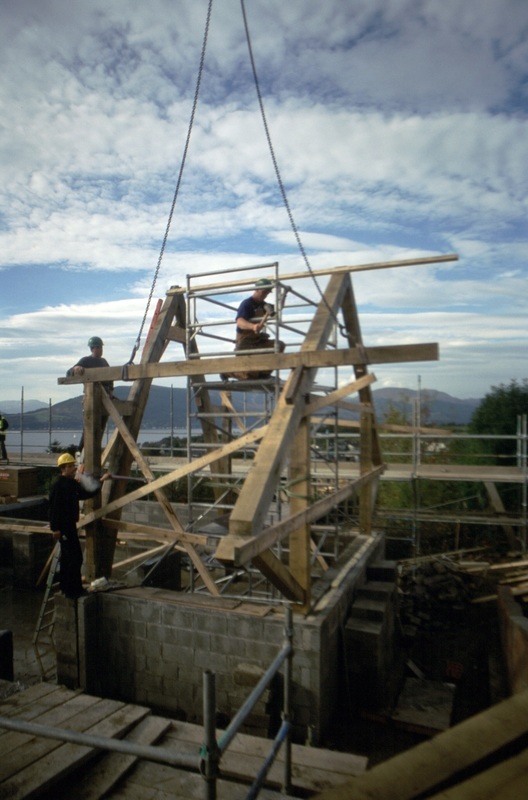 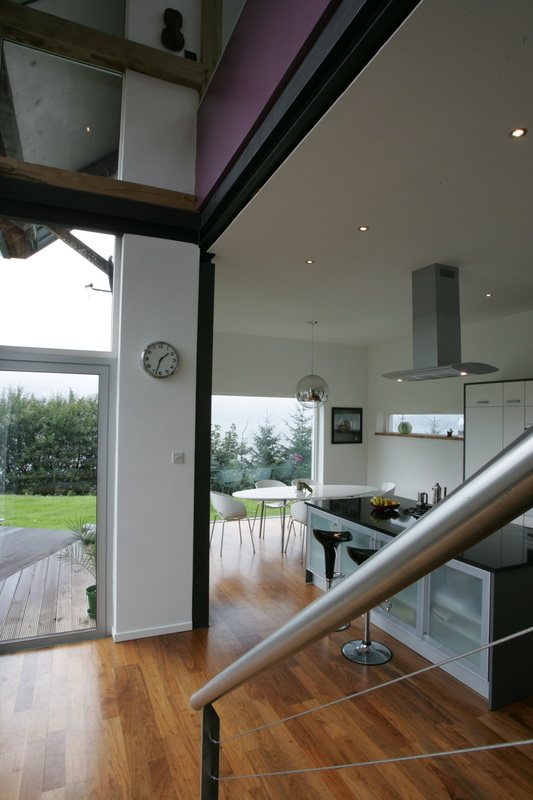 The structural wooden frame of the house including the bespoke stainless steel work receiving the base of the Cruck Frames and the Seaward Gable oversized to receive a suspended viewing deck was completed by Cow Co Scotland. 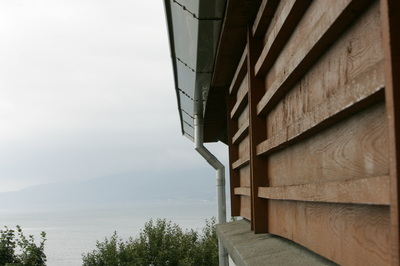 Though never fully completed, it bravely entered into a dream state dialogue with the seascape . 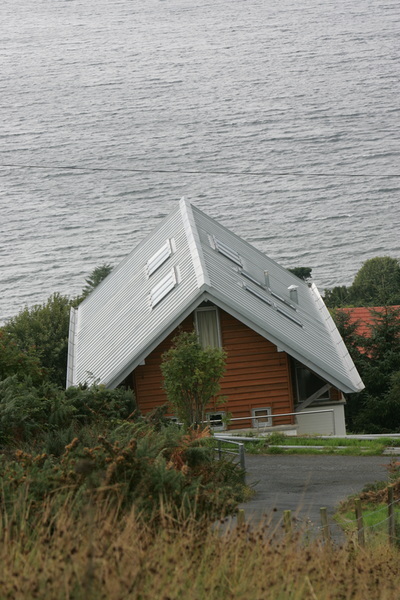 A dialogue proposed many times on the peninsula by the early Industrious Edwardian Architects Alexander Thompson and James Boucher . There has been a merchant tradition of lofty houses engaging with the seascape here for one hundred and 50 years. The best having been consumed and destroyed in the making of Coulport Nuclear defence facility. 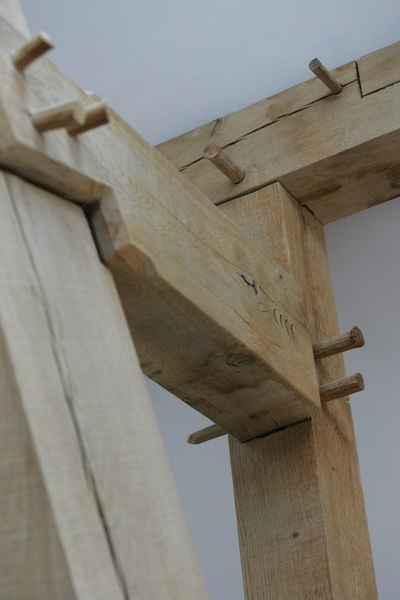 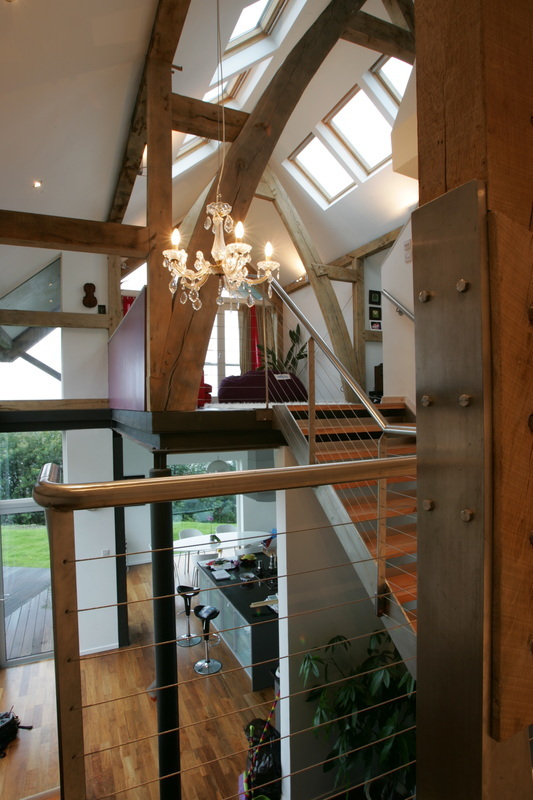 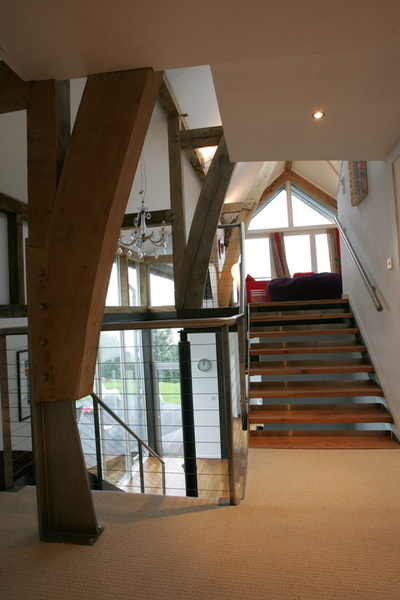 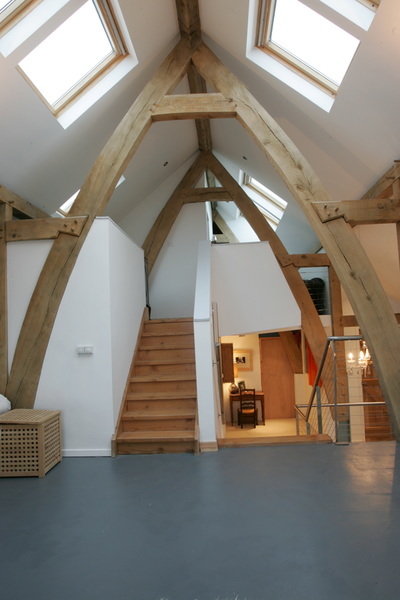 This Green Oak Cruck Framed House, its loftiness and its technology were also inspired by the ghosts of all those finely hand made boats and specifically and very locally the "Loch Longs..". 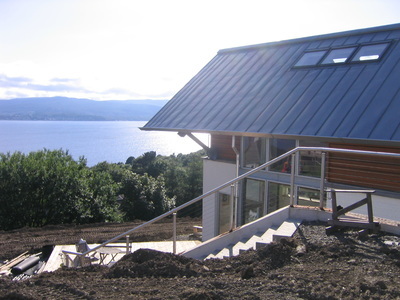 The very Loch Longs that would be fluttering about in the Lense of this new house, if it were not for the sinister black submarines carrying their weapons of mass destruction which inhibit sailing today. 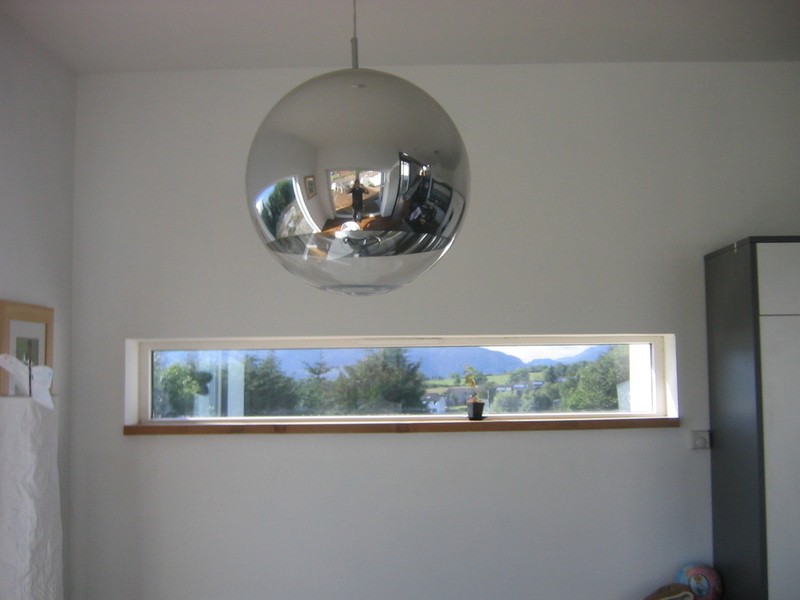 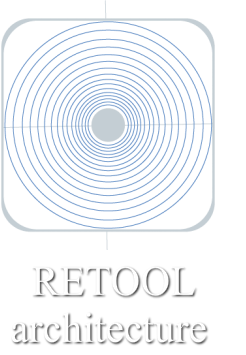 Dark matter that pops up unexpectedly on the horizon. 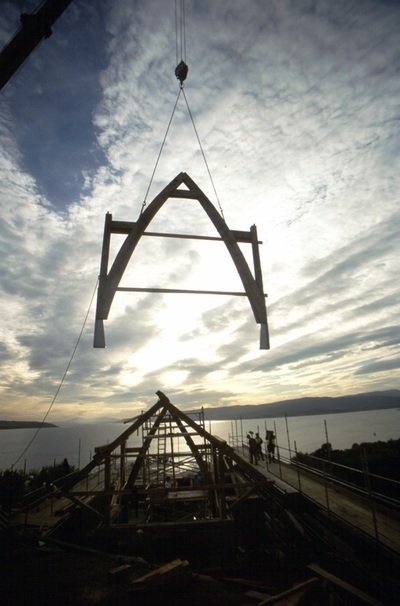 A Viking Saga of a House.